Mickey Thomas returns with Starship, band he joined in 1979 as lead vocalist. Who don't remember top hits as "We buit this city", "Sara" or "Nothing gonna stop us now"? 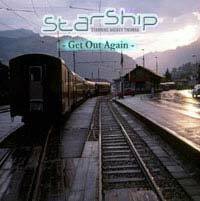 A first single "Get out again" is now available on itune. Enjoy! 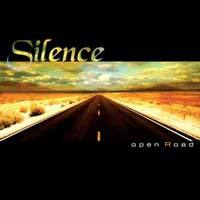 "Open Road" by Silence, featuring Bruno Levesque and Ben Venet. OPEN ROAD is made of 13 new original melodic rock tracks (from classic AOR to modern rock with a touch of new country). The album "Open Road" is due for a March 1st release and pre-orders will start sometimes next week at Kivel Records.com. 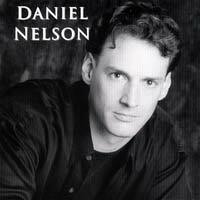 Daniel Nelson's self title album now available at cdbaby.com! If you like Classic West Coast AOR sound with great arrangements as artists such as Michael McDonald, Chicago, Pages, Steely Dan, Toto, Kenny Loggins, Daniel Nelson first album is for you. Daniel Nelson has been cutting his teeth on Pop, Soul and Jazz for most of his life. After writing about a dozen demos, Daniel was ready to go into the studio. “I wanted my music to have a more theatrical flair, so I sought out someone who was really well versed in arranging, as well as standard production.” Daniel met Ed Smart, who scored the music for the Academy Award nominated Documentary “Hank Aaron - Chasing the Dream”. Their first collaboration was the bitter-sweet ballad “Emily”, the two decided to continue working together and the Mini-album was completed. Daniel and Ed even co-penned the Soul and R&B laced “Madelynn”, a song about an obsessive relationship. Ed brought many studio professionals in to fill out the sound, including guitarists Nick Brown and Allen Hinds, David Derge on drums and the amazing Vine Street Horn Section. “My music as a lot different than the stuff that’s going on out there right now. I really dig great arrangements, horns and strings, not just straight-ahead guitars and drums. I love great lyrics and melody lines, and I really think a lot of people want to hear music from good Singer/Songwriters." Brand new online music company NovaTunes just opened up their new business. With artists like John Batdorf, Jackson Browne, Chris & Thomas, Kelly Dalton, Simon Lynge, Graham Nash, Crofton Orr, The Red Button, Leon Russell, Jack Sundrud, Allan Thomas and John Vester, NovaTunes are ready to take on the world. Many artists are experimenting with selling music directly to their fans. Veldhuizen: “World famous bands can pull that off, but it won’t work for up-and-coming artists who don’t have a big fan base yet. That’s where NovaTunes comes in. We’ve developed a model in which we leverage the fan bases of all artists on NovaTunes – the famous ones and the ones who are at the start of their career. By doing that, we add something very valuable to the model: an instant audience of music fans around the world, who are interested in quality music from great artists”. NovaTunes embraces a ‘Hear, Like, Buy’ approach: users can hear each album in full and if they like it, they can buy and download it directly. 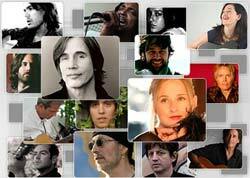 Music fans can also join ‘artist networks’ where musicians and their audience meet. They can discuss music, write reviews and recommend other NovaTunes artists they like. This type of ‘social network’ is a great way to discover new music and new artists. Music icon Graham Nash, who has joined the Board of Advisors of the company, is a firm supporter of the NovaTunes model: “The music industry is in dire straits and solutions are coming from companies like NovaTunes. The people at NovaTunes understand the internet and take advantage of it by creating a space for musicians to connect to their fans and to release new music instantly to them, wherever in the world they are. It’s a fabulous business model and that’s why I wanted to join in and help them and push them as far as they can go, because this is the future”. The music on NovaTunes is sold in a new digital album format called the ‘DP’, which stands for Download Pack. Each DP comes with high quality DRM-free music tracks playable on any device. 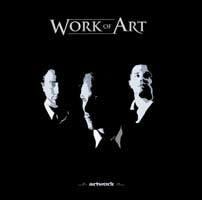 The package also contains printable artwork, with a bio, lyrics, credits and liner notes and an iPod-ready video. 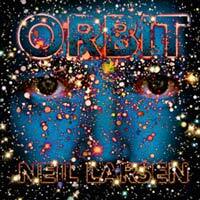 "Orbit", Neil Larsen's new project! "Orbit" is the new release by Neil Larsen with his new band, Robben Ford (guitar), Jimmy Haslip (bass), Tom Brechtlein (drums), Gary Meek (saxophone), Lee Thronburg (trumpet) recorded and mixed live during the performance featuring "Straight Ahead Record's "ALL LIVE" style with proprietary equipment. Straight Ahead Records strive for exceptional music, and unparalleled excellence in audio! Neil Larsen is a composer/keyboard player from Florida that has been successful in several different fields. As a recording artist, he has recorded four solo albums, one of which was nominated for a Grammy. After teaming up with guitartist Buzz Feiten, they recorded two albums with their band Full Moon, and one with the Larsen-Feiten Band, which included the top ten single, "Who'll Be the Fool Tonight". 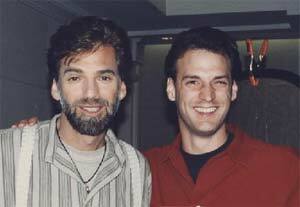 As a session musician, Neil Larsen has played on over 150 albums, including three with George Harrison, three with Kenny Loggins (and the single "Footloose"), Whitney Houston, Jimmy Cliff and 4 albums with Rickie Lee Jones, including the single, "Chuckie's in Love". His string and horn arragements are featured on albums by Gregg Allman and B.B. King among others. As a composer, Neil has written over 60 songs on various albums, including albums by George Benson ("Weekend in L.A." & "20-20" ), Gregg Allman ("Playin' Up a Storm"), Rickie Lee Jones ("Girl at her Volcano"), Will Smith ("Willenium") and Miles Davis ("The Complete Montreaux Recordings") . 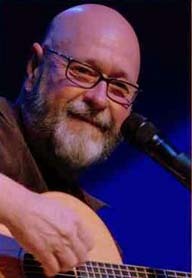 He has toured extensively with many artists, including Gregg Allman, Michele Branch, Kenny Loggins, Rick Springfield, Joe Sample and Dr. John and was musical director and pianist for singer Al Jarreau for eleven years, that included tours of South America, Australia, Indonesia, Japan, South Africa, and over 20 tours of europe. 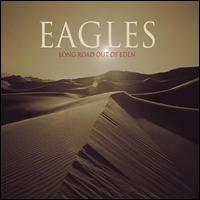 The Eagles will start their new World Tour entitled "Long Road Out Of Eden World Tour" in March in London. 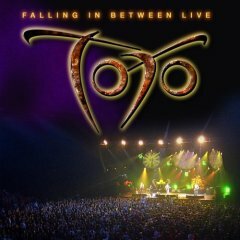 The band (Joe Walsh, Glenn Frey, Timothy B. Schmit) and Don Henley will give 4 concerts in London at the O2 Arena: March 20, March 22, March 23 and March 26, 2008 which is a complete surprise for us that the band has decided to start their World Tour in Europe. "Stone of Sisyphus", the unreleased Chicago album would be released by Rhino this year! 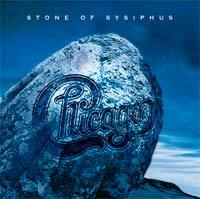 "Stone Of Sisyphus" is the title of an unreleased studio album by Chicago, recorded in 1993 and to be released in 1994. Its original working title was Chicago 22, but "Night & Day" Big Band ultimately became the band's twenty-second official album. Produced by Peter Wolf and set for release in March of 1994, Stone was to mark the return to the adventurous and experimental sound the band had established in their glory years of the early 1970s, with a modern refurbishing. It was meant to be a drastic departure from the familiar power-ballad mode the group had become locked into. Robert Lamm initially suggested the possible title "Resolve," but the band eventually settled on "Stone of Sisyphus" based on Bill Champlin's suggestion. The soaring title track, written and co-sung by guitarist Dawayne Bailey, was based on Greek mythology - a man named Sisyphus forced to climb up a huge mountain with a rolling stone. Upon reaching the mountaintop successfully with the stone, he would be free of the curse. But the stone kept rolling down the mountain, thus he would have to start all over again. Statements made in a June 22, 2007 podcast by Chicago member Robert Lamm indicated that Rhino Records will release the album in 2008. Stay tuned!! !